The technicians were clean, polite and worked efficiently. They were very thorough. Courteous and professional technician. Excellent service! 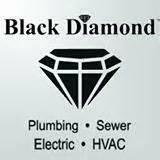 Quick service that got my water heater replaced within four hours of my call. Greg was a very nice and personable fellow, no problem there. However, when cleaning furnace, he vacuumed for about a minute or two and was done. When it came to draining the HWH, he opened the valve and when nothing came out he said it won't drain, so that was that. After he left, I went to turn on the water in the sink, and had very little. I went back to the HWH and found that he never turned the cold water valve back on. I did that myself. As far as the furnace is concerned, it was a lot louder that usual after the visit, so I checked that, and he never replaced the furnace filter. I did that. Not the usual Black Diamond service to which I am accustomed. I feel that I paid for nothing so far with this package, as the two things that were checked are the same as when he came. He also never mentioned that the blower motor in the furnace was leaking oil as stated on the invoice. I see no evidence of that so it makes me wonder... So sorry for the negative review, but good money was spent for the package, and I felt nothing was really done. Ryan Hicks was awesome! He listened attentively to my furnace problem, he then found the problem in very short order and fixed it right away! He informed me of the Black Diamond Crystal Club, which I joined and passed on to neighbors who are definitely interested. Best ever! Thank you Ryan! ryan is a very competent service guy and has the right personality for customers. Had a furnace and humidifier service and the service was excellent. Serviceman was great, very polite, helpful and considerate. True professional! Don's attention to detail is amazing!